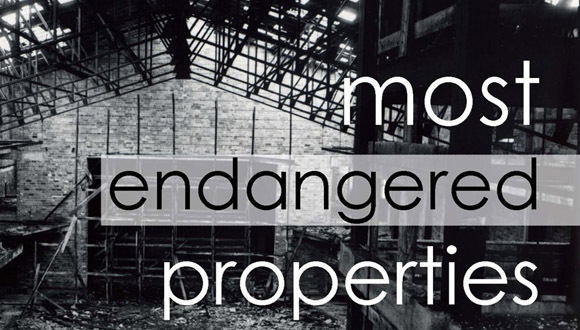 For 20 years, PPS has culled the annual Ten Most Endangered Properties with the help of concerned neighbors, advocates and preservationists. Each year, these properties have been captured visually by the photography of local artists, helping to tell the stories of these important sites. Celebrate this milestone with us at a Retrospective Photo Exhibit, featuring 20 of Providence’s most significant preservation stories from the last two decades! Enjoy hors d’oeuvres and view Providence’s historical assets as captured by another of the city’s assets – its photographers. Reception will be held in the Atrium at the Peerless Building. Thursday, May 28 from 5:00 – 8:00 pm. Funding for this free, public event is provided in part by a grant from the Rhode Island State Council on the Arts, through an appropriation by the Rhode Island General Assembly, a grant from the National Endowment for the Arts, and private funders. This retrospective exhibit was also made possible with support from the June Rockwell Levy Foundation and Dr. Joseph A. Chazan. The exhibit space within the Peerless Building was generously donated by Cornish Associates. For more information, go to ppsri.og/exhibit or contact Paul Wackrow at 401-831-7440 or pwackrow@ppsri.org.